KAMPALA– As Universities prepare to do their end of semester examinations, unfortunate news reaching PML Daily shows that one of the Kyambogo University students identified as Hakim Bohiibwa has gone missing for two weeks now, something that threatens his family members and friends. 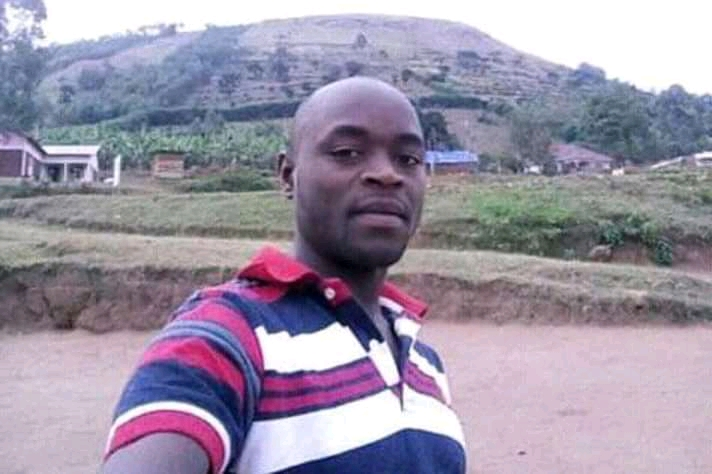 According to reports, Bohiibwa 27, a finalist student pursuing a Bachelor of Science in Technology (Biology) who happens to be a Boda Boda cyclist went missing on 31st October in the evening. It is alleged that Bohiibwa, who was operating from Kingsway stage along Entebbe road disappeared after taking a passenger on a fateful day. However, the victim after the journey never returned home neither did he pick up calls from family members in a bid to trace him. According to his sister, Sylvia Mwesigye, they suspect Bohiibwa fell into thugs or kidnappers disguising as passengers on his motorcycle. “I was informed by his fellow cyclists that he took a passenger on the evening of 31st October. Ever since that day, we have not heard from him. I have reported the disappearance case to Kajjansi Police station and they have told me to keep calm as they do their best to trace him,” said a desperate Mwesigye. The wife to Bohiibwa, Carol Nakate also says she last saw the husband on October 30 after dropping kids from school. “I last saw him on October 30. This was after dropping the children from Christ Care Junior School in Masajja. He then called me on October 31 and that was the last I heard of him,” said Carol. The family has also gone an extra mile of searching for his body at City mortuary and Kirudu hospital with the perception that he could have been murdered and his body unidentified but it has all been in vain.